In a few months time, Hot Wheels will be 46 years old, yet the 1:64 scale line is still going strong, with cars like the Chevrolet Camaro above helping to keep the range fresh, fast, and up to date. Here’s a nifty little video featuring the Hot Wheels ‘Sweet Sixteen’ group, the very first set of 1:64 scale cars introduced way back in September 1968. Ten of them were custom versions of production vehicles of the time, the remaining six were show and track cars. At the time of their launch, what marked Hot Wheels out from competition such as Corgi and Dinky were a number of unique features - super-gloss Spectraflame paint, high-speed wheel bearings, and redline-rimmed tyres that echoed the stylish look of many US muscle cars of the era. The other big plus-point that set Hot Wheels apart was the low-friction plastic race track on offer. Running on this, a Hot Wheels car could easily hit a scale 320 km/h (200 mph), and you could race a pair of them using a two-lane starting gate. 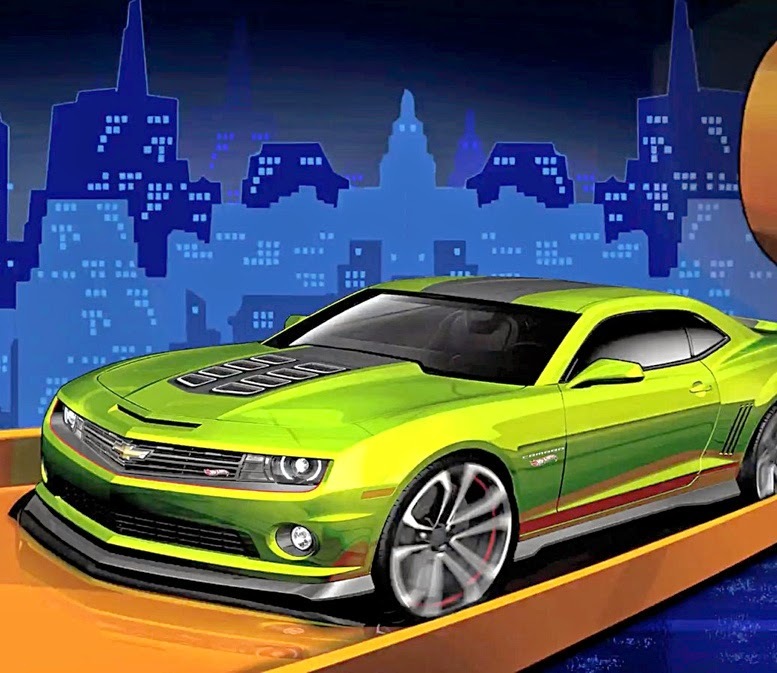 Hot Wheels are still going strong, though redline wheels were phased out in 1977. It’s reckoned that more than 10,000 different models have been introduced - quite a task then, for the collector who wants a complete set! Interestingly, the ‘Hot Pink’ paint scheme that was once thought to be a bit ‘girlie’ for the average Hot Wheels owner, is now a rare shade that commands premium prices at sales and auctions. Thanks Randy for the video. Click here for a Hot Wheels mega-choice.